Stomatitis - a disease widespread among children and among adults. This disease brings a lot of discomfort, especially if late treatment. A proven method is the treatment of stomatitis burnt alum, which is easy to apply at home. Burnt alum is a derived product modified from the conventional potassium-aluminum alum. Heated 160оС and evaporated to half the original volume of raw materials. The remaining alum pulverized into powder by getting the crystal of the absorbent product, odorless. Burnt alum has antibacterial, drying, cauterizing, enveloping and hemostatic properties. In addition, the product eliminates itching, which is important when the time came. How to work burnt alum with stomatitis? Their effectiveness is due to the ability to form on the surface of the ulcers by weight colloidal films, which "freeze" the nerve endings. Consequently subside the pain, away itching and burning. Alum can be applied directly to oozing areas, as they stop the bleeding, possesses drying and pulling the edges of wounds. At the initial stages of treatment of stomatitis burnt alum is good because they cropped sores, not letting the disease develop. 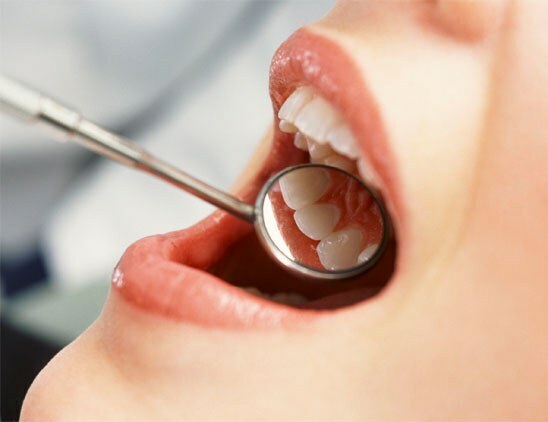 Therefore it is recommended to apply alum locally on the sores, not to spread the infection throughout the oral cavity. To the same point applying alum on aphthae contributes to their rapid healing and quickly reduce pain. For a comprehensive treatment can be combined local lotions and rinses. But first you need to treat all the wounds, and then, when the foci of infection disinfected, rinse the entire oral cavity. To spot treat ulcers necessary dry alum. They are used like ordinary powder. Only need to take a clean finger tip a little powder and apply it on aphthae. To prepare the solution you need to take 200 ml of boiled water at room temperature and 4-5 g of burnt alum. Stir until complete dissolution of crystals. Then try the solution on the taste – it should remind acidified with lemon water, and at the same time to be very tart, astringent. Store no more than two days in a cool dark place, but not in the refrigerator. Use burnt alum with stomatitis as a gargle every two or three hours. The pre-process of the sores locally. The solution before use to stir. If it is difficult to reconcile the treatment of stomatitis in a young child by point processing and rinsing, can be treated his wounds with a concentrated solution. 200 ml of water to take a 5 and 10 grams of alum. The solution was applied to a cotton turundy and wipe the sky and cheeks from the inside. Alum has long been considered the means of solving many problems in the field of health and beauty. Alum is divided into three types depending on their component metals. Widespread use of aljumokalievyh alum in food, textile industry, medicine and cosmetology. They are used to purify water, for the tanning of leather, for impregnation of refractory tissue as a leavening agent, as the remover of sweating and to stop bleeding. This wide application of this substance is possible, as alum have antiseptic properties, anti-inflammatory effect, stops the blood and adsorb. Use them in the form of a special water-soluble powder, solid crystals or pencils. Alum is used in medicine: they treat a dermatitis, acute inflammation of eczema, neurodermatitis. Used to eliminate pain with gingivitis, stomatitis, blepharoconjunctivitis. This drug is not to remove the cause of the disease, but with the use of alum comes relief, as they have on the skin surface astringent and drying effect. Traditional medicine offers many recipes using alum. As alum have a detrimental effect on various bacteria, they are used in cosmetics. Alum is used in cosmetics to eliminate the problem of oily, porous, prone to skin rashes. They treat seborrhea and hyperhidrosis. 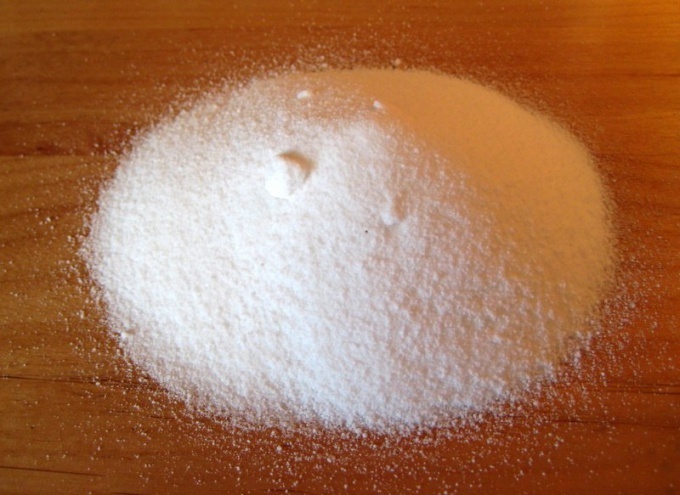 Often the crystals of alum are used for the manufacture of natural salt deodorants, use them yourself as a deodorant. Crystals of alum soaked in water, then they are processed underarm. This deodorant is in most cases effective and very sparingly used: a single crystal weighing approximately 50-70 g is enough for a year of daily use. Its advantage is that it does not cause allergies and can be used in the treatment of diaper rash in infants, they can use breastfeeding and allergies. By heating aljumokalievyh alum burnt alum are obtained. Since they are used in the coloring of natural wool and cotton yarn and fabrics as a mordant. The fabric, treated with iron alum, alizarin stain in violet color. Green stems and leaves, fresh or treated with alum, gives a persistent yellow paint. It is fit for dyeing wool and cotton. For emulsion on a gelatin basis too use the alum. They are used for pharyngitis, tonsillitis and sore throat for inhalation. The use of alum inside sometimes causes poisoning, so you should use them like any other drug, in moderation and with caution.